Nilofer Rajpurkar is a Program Manager for Visual Studio App Center. In her work, she creates effective mobile developer tools and enables mobile developers to build better apps with more confidence. 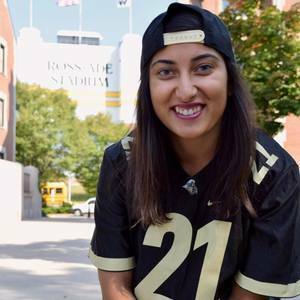 Nilofer Rajpurkar is from Greenwood, Indiana, and joined Microsoft after graduating with a bachelor's degree in biomedical engineering from Purdue University. She's a travel and music junkie and opened for Maroon 5 once. Nilofer Rajpurkar has been a guest on 1 episode.